The deeply rewarding process of helping people in your practice can easily be extended towards the online world. 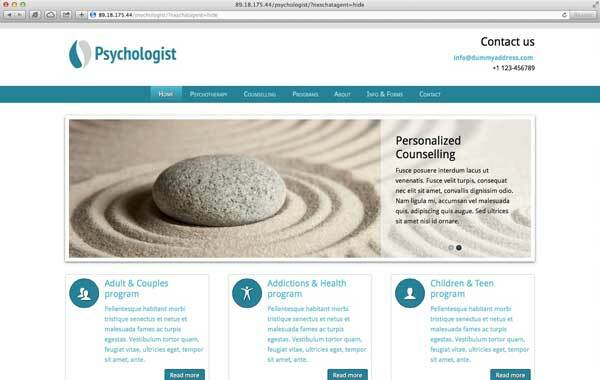 With the Psychologist WordPress theme we've set a goal of creating both a professional and authentic looking theme. It is our goal to help therapists being able to grow and thrive their practice and the Psychologist WordPress theme is our tool. For any business a solid web presence is important. And the therapy industry will prove to be no exception to this rule. What we've tried to do with Psychologist WordPress theme is lowering the threshold for professional practicioners to go online and reap the benefits of this powerful medium. This theme incorporates best practices in terms of layout and design. It also features a turnkey installation. This means that upon activation you'll have the complete layout of the demo environment. Including a services overview, team page, appointment form, program overview, trust icons and much more. 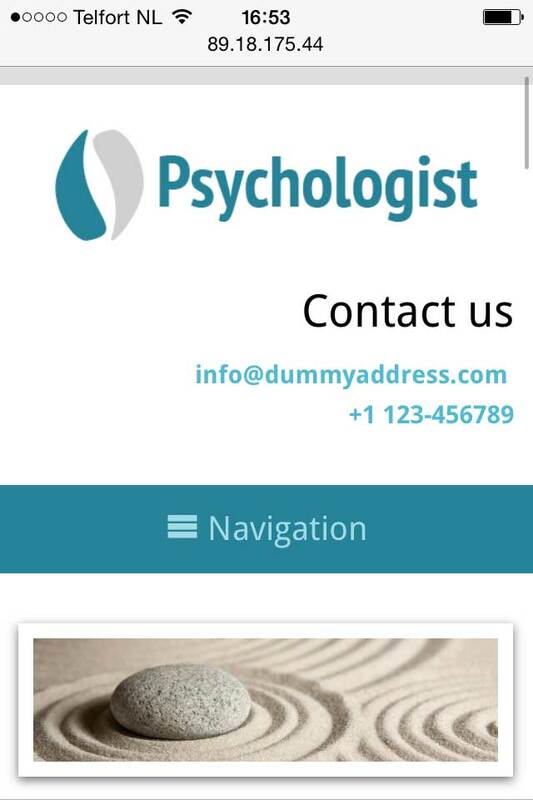 Fully responsive and optimized for mobile devices the Psychologist Wordpress theme takes the sites of therapy practices to the next level. The Psychologist WordPress Theme incorporates an easy-to-configure image slider, an eye-catching way to take your website to the next level design-wise. 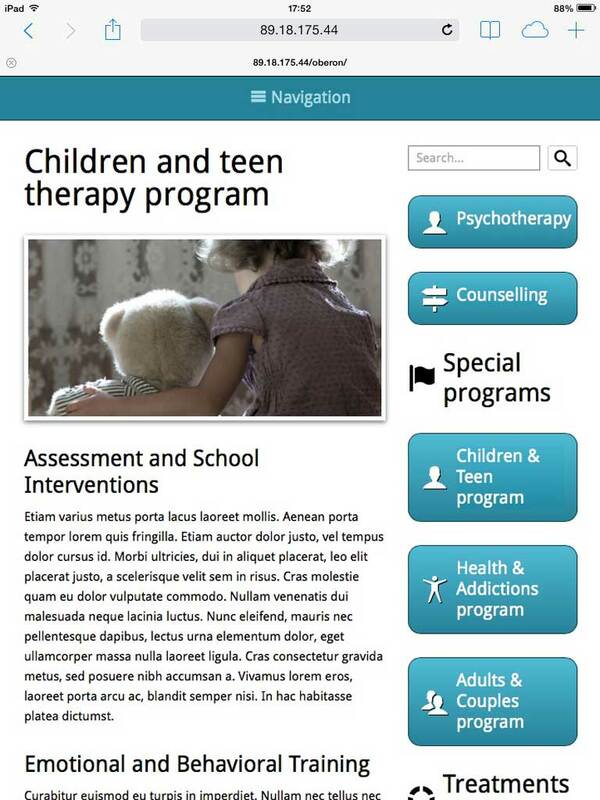 On the homepage of the Psychologist WordPress Theme, visitors will get an overview of your services in one glance. Clicking on a thumbnail goes directly to that service page. Share your unique and appealing offerings on the service detail pages of the Psychologist WordPress Theme. Simply replace the text and images with your own. Customers coming in will be able to book online anytime with the Psychologist WordPress Theme's built-in reservations form. Easily customize the fields to suit your needs. Helpful links and resources can be placed in an informative manner on your site, with the help of their own blog overview. Showcase your team's experience and accomplishments with the Psychologist WordPress Theme, which features a handy team overview page. Before creating the Psychologist WordPress Theme, we first researched the specific business needs of mental health professionals. We've built in premium features to help you grow your business online. 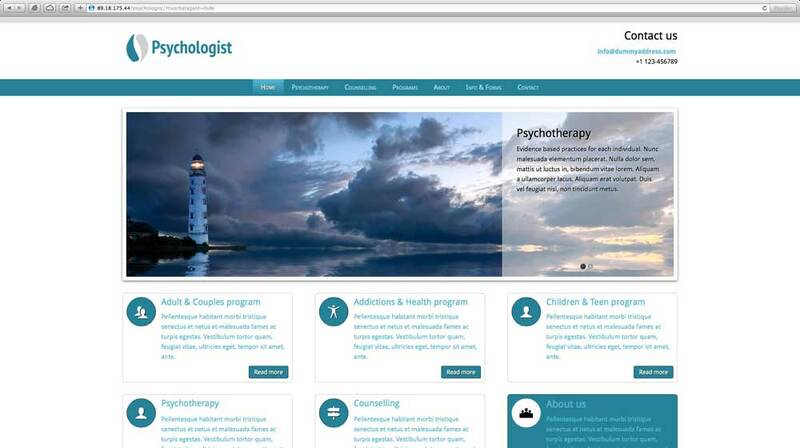 With this professional looking responsive Psychologist WordPress theme you stay ahead of the crowd. With more and more people going online using mobile devices it's not only adamant you have a professional looking online presence. You have to give visitors to your website the best user experience possible. The way to do that is by having a mobile website. The Psychologist WordPress theme packs this complex technical feature in a wrapper which is bound to increase your bottom line.